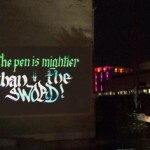 Digital Calligraffiti travels again east to celebrate 60 years of Goethe Institute Karachi, Pakistan with infinite digital calligraffiti messages. 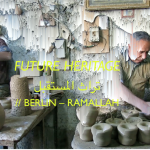 The project, which counts 1 year of life, was initially presented in an effort to bring the voices of young refugees of Berlin on the urban screens. 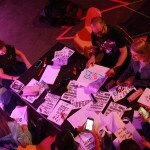 During a co-creation lab calligraffiti & media artists came together with the berliner new comers to share their thoughts and wishes on current flaming topics. Through a series of activities and showcases: Live Infl3ctor Performances, Networked Performances, Urban Media Art Campaign, Digital Calligraffiti Products & Workshops the project has climbed on the top of the the audience favourites travelling overseas and enlarging its community of collaborators and artists. 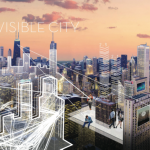 Public Art Lab and From Here to Fame Publishing House take pride in presenting the project in Pakistan this December as a perfect closing to the first year of the project’s creation. 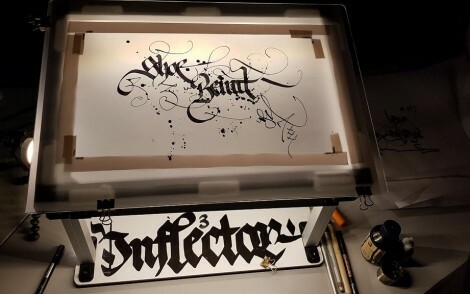 It is an honour to have one of the main contributors of Digital Calligraffiti and co-designer of the Infl3ctor Hamza Abu Ayyash running the performance alongside with the calligraffiti masters Schriftzung aka Lorenz Oppitz and Sanki King. 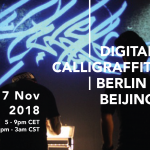 OPEN CALL // DIGITAL CALLIGRAFFITI WORKSHOP!